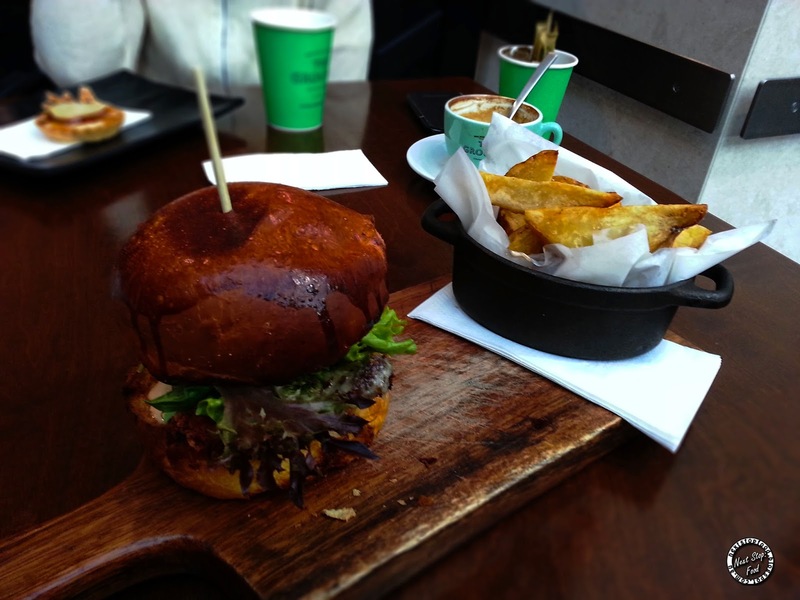 Next Stop: Food | Food Blogger located in Sydney Australia: Coco Noir - Delicious Tomato Chutney! Coco Noir - Delicious Tomato Chutney! I go to Eastgardens Westfield frequently to go see my doctor, who is very popular. Even if I get there early at 8:30am, there will already be 15 people in front of me. What to do while I wait? Enjoy a breakfast in the spacious Coco Noir and go shopping of course! I decided to order the Breakfast Panini and absolutely LOVE the tangy and appetizing chutney with this dish. It ties the combination of the crispy bacon and fluffy eggs together. These are also very generous servings and definitely worth the money! This dish originally comes with a fried egg, but upon request they were more than willing to change it to scrambled egg for me :). The beautiful chutney lured me to come here a second time. This time I tried their lunch menu, which is available daily after 12pm. The fried chicken on the burger was HUGE, with the yummy chipotle mayo and it was very filling! However towards the end, oil was dripping out of the fried chicken which was a little off putting and makes me appreciate non oily KFC. But the dish was quite delicious and filled my stomach contently. 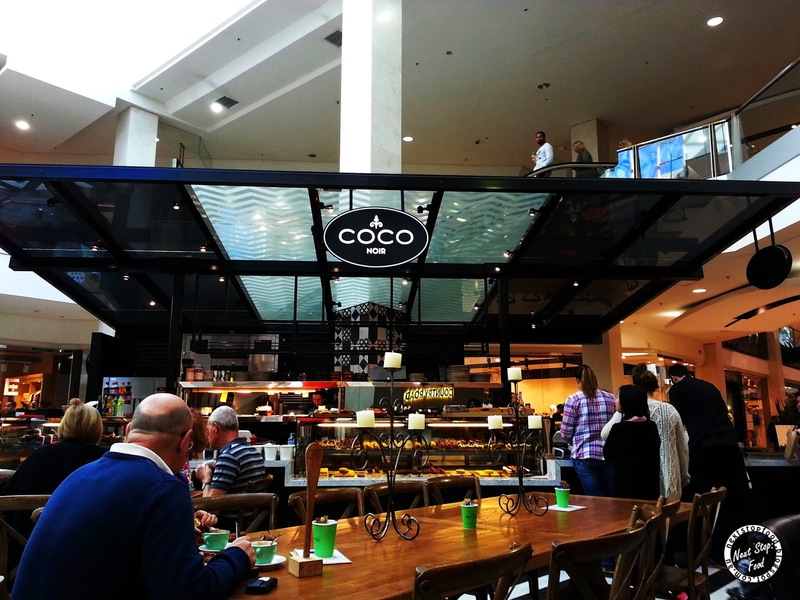 Coco Noir is conveniently located in Eastgardens Westfield, the cafe itself is situated in a spot which gets a lot of natural sunlight and is conveniently located in front of Myer. Coco Noir can also be found in Sydney Pitt St Mall and Balgowlah. Definitely recommend everyone to try anything on their menu with their home made tomato chutney! I've only had the macarons from this place before - not bad to see the food is also somewhat up to scratch! 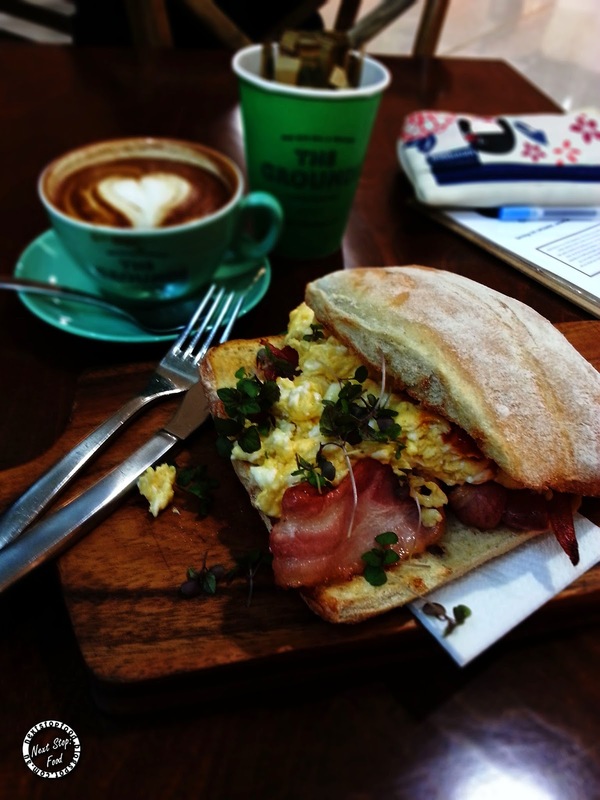 The breakfast panini sounds like the perfect start to the day. Lovely that they accommodated your request for a scrambled egg too. whoahhh look at the huge serving of that breakfast!